Marek Rosa - dev blog: Miner Wars in Czech TV - Second Time! 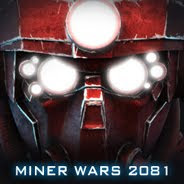 Miner Wars in Czech TV - Second Time! We've made it into one of our Czech TV channels again! This time it is Czech TV game show called Re-Play on TV channel Prima Cool. They made interview with me and other members of our team. The video is available online - see 08:10: http://re-play.cz/2012/02/re-play-2s06/. Article about me in "Hospodarske noviny"